When bigger isn’t better. Micro parts make life-saving solutions a reality. By now the benefits of miniaturization in engineering are obvious. They include cost savings, material reduction, increased efficiencies and improved functionalities, to name a few. But the biggest benefit of miniaturization may be what it can do for the smallest people. Innovations in engineering and manufacturing are shrinking the size of medical devices and saving the lives of the tiniest patients. Micro-Matics, recently partnered with a medical device company to pioneer a new procedure that helps infants who have been born with holes in their hearts. 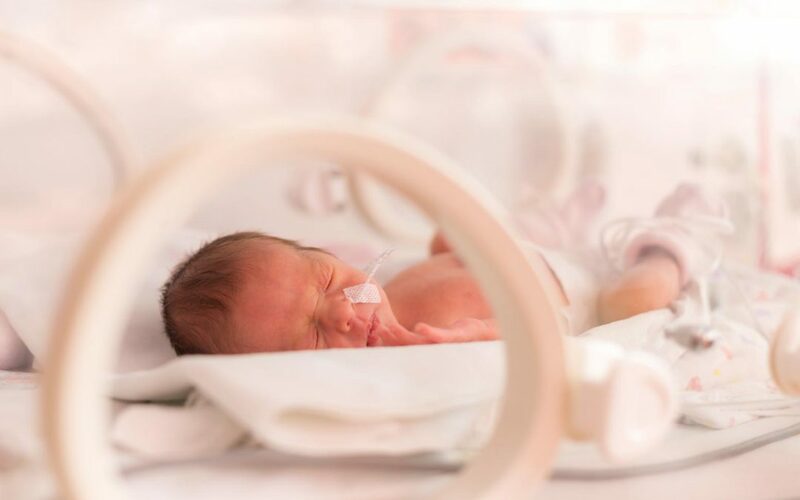 Because an infant’s heart is approximately the size of a walnut, the medical devices involved in heart surgery must also be appropriately small – and the screws must be even smaller. The screws that Micro-Matics produced for this device were 0000-160 thread – just four times the thickness of a human hair. While many precision machine shops can produce small components, Micro-Matics’ extensive expertise with Swiss-style machining means they are uniquely positioned to produce the smallest screws with the tightest tolerances. In order to perform jobs of such tiny proportions, Micro-Matics relies on their Citizen M16 and L12 Swiss machines and the experience of tenured machinists in their employee-owned operation. “Swiss (precision machines) are really the only types of machines capable of producing screws this small. And with a job like this, a machinist needs at least five years of on-the-job experience, a head for math – especially trigonometry – and a lot of patience,” said Allen Cossairt, sales manager for Micro-Matics. As a company that has specialized in producing small custom parts since 1973, Micro-Matics has been at the forefront of the miniaturization movement. According to Mr. Cossairt, medical device and electronics industries will continue to push for smaller, higher quality and higher performing parts for the foreseeable future. Micro-Matics can help you meet your ongoing needs for finely-tuned, precision-machined parts. Contact us today for a quote. Micro-Matics. Your Single Source for Prototyping and Production.